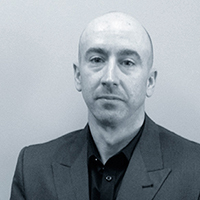 Gerry has been working in the high technology sector for 35 years with experience in private companies of all sizes from start-up to several hundred employees. 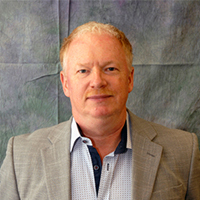 Gerry joined Blue Line Innovations, a leader in innovative home energy management, in 2006 as VP Product Development. Since that time, he has guided the Company’s product and technology direction. Before joining Blue Line, Gerry was the founder of Calcamar Inc. from 2001 – 2005, where he held the position of President & CTO. Calcamar developed and marketed high-performance server-based information extraction tools. Calcamar's flagship product, WebTellect, automated the process of extracting information from disparate web source and consolidating it into customizable views. From 1998 to 2001 Gerry led developer and technology relationships at Simware/NetManage as Director, Technology Alliances. Simware/NetManage was a leading provider of mainframe and remote access technologies used by many Fortune 500 companies. 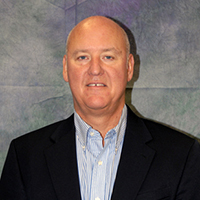 Scott has been CFO of Blue Line Innovations since 2009 and actively involved in representing the lead private investor in the company since 2007. He brings with him a career routed in strong financial analysis, reporting and planning as well as active operational and strategic leadership. Career pit stops include senior management with KPMG, Director of Finance with Spielo Manufacturing Incorporated, and as an investment analyst for Technology Venture Corporation, a private venture capital fund. "It's a pleasure to come to work everyday knowing that our Blue Line technology is a proven solution helping families and utilities reduce our ever growing energy consumption demand. As a pioneer in the energy the conservation space with over 10 years of experience, we are helping and educating an ever growing market to make investments in conservation programs." Away from work Scott is a highly competitive curler having represented the Province of New Brunswick in 4 National Championships including most recently the 2012 "Brier" (Canadian Men's Curling Championship). Scott is also an avid golfer in the summertime with regular Sunday morning matches against lifelong friends and business colleagues. Steve has 30 years experience in managing Operations for both public and private companies holding many senior level positions. Most recently, Steve held the position of CEO and Board Member for Energate Inc., a leading provider of home energy management solutions for the energy and home automation markets. Energate was acquired in 2017. In 2001, Steve led the strategic divestiture of Mitel's global operations and as Co-Founder and Executive Vice President created BreconRidge Manufacturing Solutions Corporation, a world-class provider of innovative design and contract manufacturing services. Steve spent the first 17 years of his career with Mitel Corporation, a global provider of business communication solutions, in various roles including Vice President of Global Operations responsible for worldwide Manufacturing Operations.